Tribal DDB London and Proximity London have created an integrated augmented reality (AR) campaign for the Volkswagen Golf Match targeting new car buyers and Golf prospects. 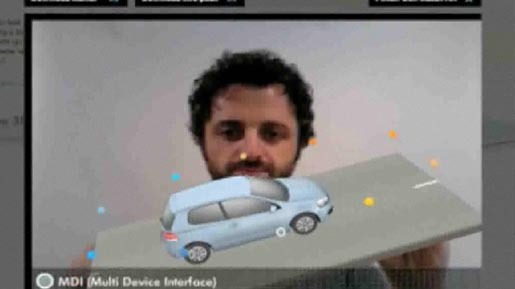 At the heart of the campaign is an augmented reality version of the Volkswagen Golf, which gives users an immersive experience of the car. Users use their augmented reality key, provided in a direct mail pack or online at volkswagen.co.uk, to interact through their webcam online at golfmatch3d.volkswagen.co.uk. The printed car becomes a road with the augmented reality car travelling on it. The user can tilt the road to make the car move faster or slower. A number of spots appear around the car highlighting the various features via pop up text panels detailing the cruise control, parking sensors and all other features of the car. The Augmented Golf campaign was developed at Tribal DDB London and Proximity London by senior account manager Ashley Saunders, with VW Communications manager (Small Cars) Josie Taylor, creative directors Victoria Buchannan; Simon Richings, user experience developer Joseph Sculley, developers Sebastien Jouhans, Jamie Copeland and Matt Sweetman.